If you’ve ever applied for a loan or a credit card, you most likely know what a credit score is. 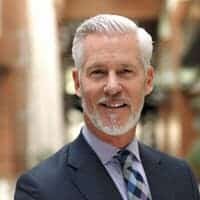 Credit scores tell lenders how trustworthy we are as borrowers – they’re the number one contributing factor to any lending decision in the United States. The range that you fit inside of will depend on the type of credit score that is being assessed. 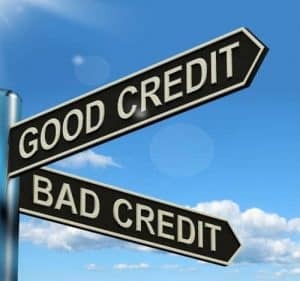 As mentioned previously, the credit score ranges are dependent on the credit reporting body you are talking about. There are two different types of major credit scores. The first is FICO, the other is Vantage. FICO is the original major credit score in the United States, Vantage didn’t come around until 2006! Regardless, Vantage has now grown into an extremely popular form of credit score, so it’s important that you recognize both forms of score. While both scores fall between 300-850, the score ranges do vary depending on the type of score that you’re looking at. Below we will outline the different score ranges according to each score type. FICO score ranges vary slightly to Vantage score ranges. Below we will outline the different score ranges for FICO based credit scores. This score range will indicated that you’re in the top 20 percent of credit scores in the country. If you have a score that falls in this range, you will most likely not experience trouble getting approved for financing of any kind. In addition, you will most likely be eligible for the best rates available on the market. If you have a score in this range, fight hard to keep it – you’re at the top of the pack! If you fall into this category, you’re part of 18 percent of the population that has a similar FICO score. This is another score range that is hard to achieve. You’ll need an established credit history without any major errors on your report. If you have this form of score, you’ll be eligible for good interest rates and plenty of financing options. 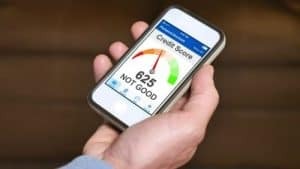 This score range is the third step below the top, but it still means you’re part of the better half of credit scores in the country. You’ll still be eligible for plenty of credit cards, and you’ll most likely be offered a decent interest rate at most lenders. About 22 percent of the country falls into this category. If you have a score in this range, you’re in the bottom half of the country. About 20 percent of the nation falls into this category. You’ll want to make an effort to improve your score if you are stuck in this bracket. Looking at debt consolidation loans or credit repair may be worth considering if you want to make a quick jump into a higher bracket. If you fall into this category, you’ll find that you’re not approved for almost any type of finance. If you find yourself to be part of the 17 percent of the country that is inside this score range, you need to commit to improving your stance. Consider debt consolidation or credit repair – make sure you don’t wait any longer to get your score back on track. Below we will outline the Vantage score ranges. Remember, these vary slightly from the FICO scores mentioned previously. This is the top bracket of the Vantage score range – around 30 percent of the country falls into this range. You’ll find that credit scores in this range have no problems getting approved for rewards cards or obtaining great interest rates. If you have a good credit score, you’ll also be eligible for most major credit cards on the market. You are part of the 13 percent of the country that falls into this bracket. If you keep exhibiting good behavior, you’ll most likely move up into the top bracket within a short period of time. Around 18 percent of the country falls into this category. While you won’t be eligible for a lot of rewards cards, you’ll still find that you’re eligible for plenty of credit cards on the market. You’ll want to make sure that you exhibit good behavior for the next few years – your score will improve drastically if you do! This is the second worst bracket to be in – around 34 percent of the nation falls into this bracket. You won’t be eligible to receive most credit cards, and you’ll find it hard to obtain a decent interest rate on any loan you apply for. That’s why you should be aiming to use debt consolidation or credit repair to move out of this bracket as quickly as possible. This is the last place you want to be if you are thinking of applying for finance in the future. About 17 percent of the country falls into this category. You get into this bracket by not paying back debts and carrying high amounts of debt on your credit cards. In addition, you may have a bankruptcy or other large claim on your record. Make sure to start the rebuilding process as soon as possible if you’re in this category. Understanding the above ranges is key in comparing FICO and other credit scores. If you want to fully understand the credit industry and how it is shaped, it’s best that you have a deep understanding of the above ranges and how they may impact your applications. You should keep up-to-date with your credit score and make sure you’re aware of what bracket you’re in. Check with lenders before you submit an application. Ask them what brackets they typically accept applications from. You don’t want to apply for financing you won’t be able to obtain. If they won’t tell you – check online forums to see what other people have been approved with. Debt consolidation can help you improve your score long into the future – it may be something worth considering if you need to improve your standing. Check out some of the other content on our website if you’d like to know more information.